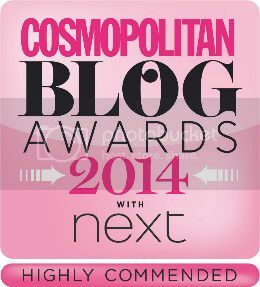 So I was extremely overwhelmed earlier today when someone tweeted me saying I had been shortlisted for the Cosmopolitan Blog Awards. 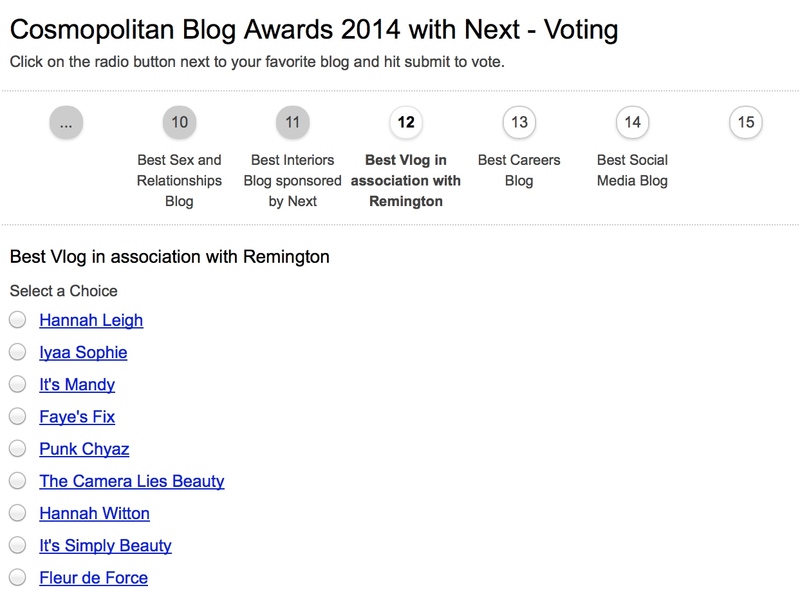 I couldn't believe it till I checked myself and I saw 'Faye's Fix' under the Best Vlog category. This honestly means SO MUCH to me and it still hasn't sunk in. If any of you watch my videos or nominated me then thank you so much, I am extremely grateful. It's amazing to even be considered, especially in the same category as Fleur De Force!! I never would have expected to get shortlisted, I am so shocked and excited. My category is on the 12th page so keep an eye out! Voting closes on 29th August so you have around two months to get that vote in! Just follow the Next buttons and enter your email address at the end (you can opt out of emails). It would mean the world if you could vote for me if you enjoy my videos. You only get to vote once so it should only take two minutes. You can click above or to the right or click here! Please tweet me (@fayesfix) or Facebook me and let me know if you've voted! Just voted for you :) I hope you win, you really deserve it! I'm so glad you were shortlisted, as I nominated you! Just voted for you as well, so good luck!